Criteria 3003(c) and 3004(c) require the decision-maker to be satisfied that the applicant became an illegal entrant or a person without a substantive visa because of factors beyond the applicant’s control. those factors must have been beyond the applicant’s control. The element of causation is important. It is not sufficient that factors beyond the control of the applicant existed. Those factors must have caused the applicant to become an illegal entrant or a person without a substantive visa. The phrase ‘factors beyond the applicant’s control’ is to be given its natural meaning and considered against all relevant circumstances of the applicant. The test is whether the applicant became a person to whom 3003 or 3004 applies because of circumstances that were “external” to the applicant and over which they had no control. Some circumstances may clearly meet the test, for example where a serious accident or illness renders the applicant incapable of making an application. misunderstood the conditions attached to their visa. Claims by an applicant that they were unaware they were an illegal entrant, or without a substantive visa, should be considered on a case by case basis. The mere fact that an applicant makes such a claim would not, on its own, constitute a circumstance beyond their control. 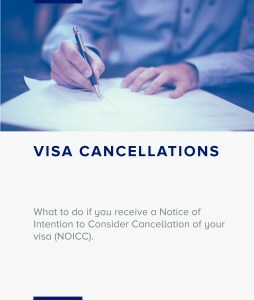 In some instances, an applicant’s lack of awareness may, however, be attributable to a circumstance over which the applicant had no control, for example, if the applicant’s visa was not correctly evidenced and the visa ceased on a date earlier than the date specified on the visa label. Similarly, claimed misunderstandings relating to when a visa is in effect or to the conditions attached to a visa should be considered on a case by case basis. It is reasonable to assume that a visa holder is aware of the period covered by the visa and the conditions attached to the visa unless there is evidence to the contrary. An example of when there would be evidence to the contrary is when file records indicate that incorrect advice was given by the department. Applicants who lodge applications that are found to be invalid sometimes become unlawful between when they lodge the substantive visa application and when it is actioned by the department. They will usually be unaware that they have become unlawful until later notified of the invalidity of the application. Taking into account individual circumstances, it may be reasonable to consider that these applicants became unlawful due to factors beyond their control. In such cases, decision makers should be satisfied that the applicant acted expeditiously with the department when they first became aware of their unlawful status. Schedule 3 comprises five separate criteria: 3001 to 3005 (discussed separately further below). One or more of the five criteria apply to most (not all) substantive visa subclasses that can be granted while the applicant is in Australia. The Schedule 3 criteria that apply to any specific subclass are prescribed in Schedule 2 to the Regulations as a criterion to be satisfied at time of application. However, if waiver of a Schedule 3 criterion is permitted in Schedule 2 criteria for the visa applied for, ‘compelling reasons’ are not limited to circumstances in existence at the time of application. Circumstances constituting compelling reasons can arise at any time, up until the time of decision, and s65 delegates must have regard to submissions by the visa applicant as to any compelling reasons occurring after the date of application, which may continue to exist at the time of decision. The criteria apply only to persons who do not hold a substantive visa at the time they apply for a further visa. The Full Federal Court has held that in considering waiver of Schedule 3 criteria (namely 3001, 3003 and 3004) – if waiver is permitted in Schedule 2 criteria for the visa applied – ‘compelling reasons’ not to apply the Schedule 3 criteria can include circumstances arising up to and including the time of decision. They are not limited to circumstances in existence at the time of application. 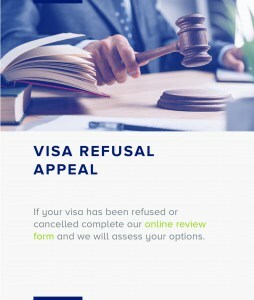 Circumstances constituting compelling reasons can arise at any time, up until the time of decision and s65 delegates must have regard to submissions by the visa applicant as to any compelling reasons occurring after the date of application, which may continue to exist at the time of decision. Refer to Waensila v Minister for Immigration and Border Protection  FCAFC 32 (11 March 2016).